Today we are going to talking about the new arrival of Warda springs summer lawn collection volume-2 for women. 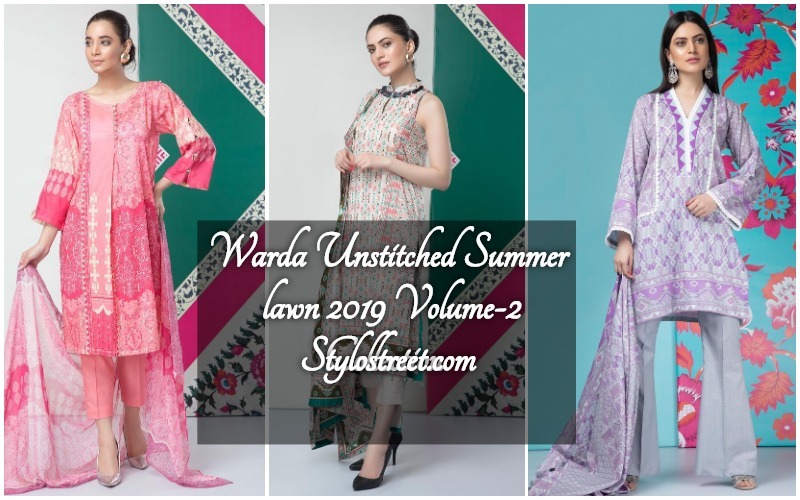 As we all know that every year new designs of 3PC Lawn print with chiffon dupatta launched by Warda fashion brand 2019. You can shop online this unique lawn printed unstitched summer dresses for women volume-2 collection. Girls you have heard it just correctly that leading fashion designer in Pakistan launched his summer dresses 2019.